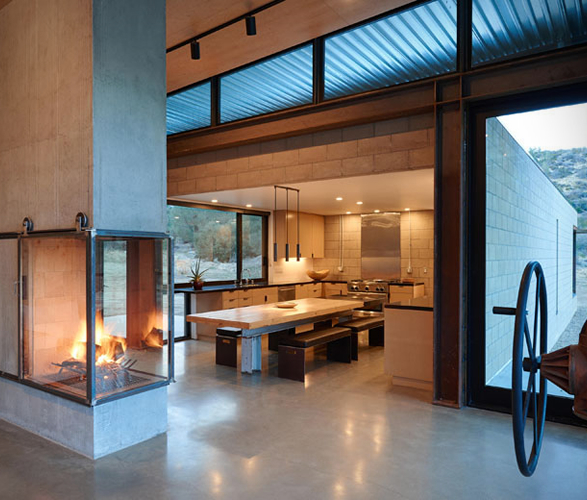 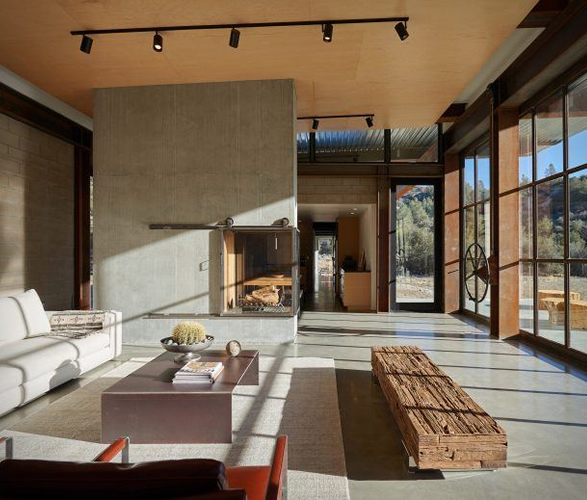 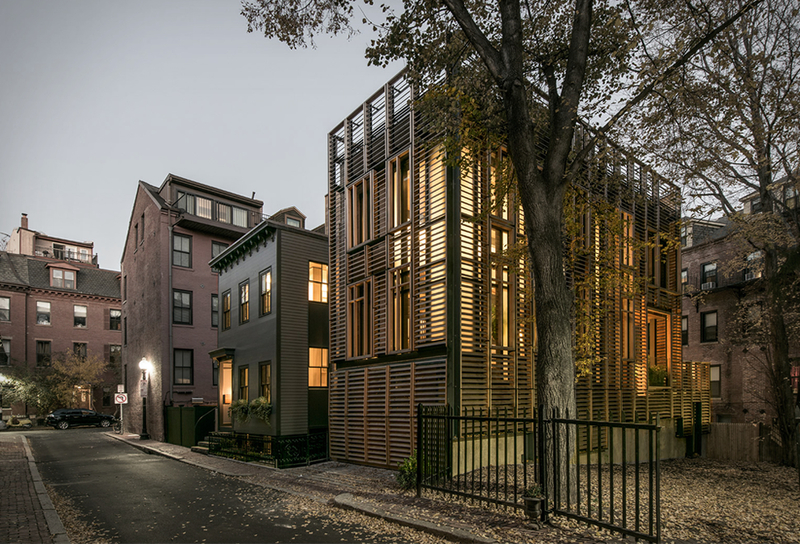 The award-wining Sawmill House by Olson Kundig, sets the standard in design and sustainability. 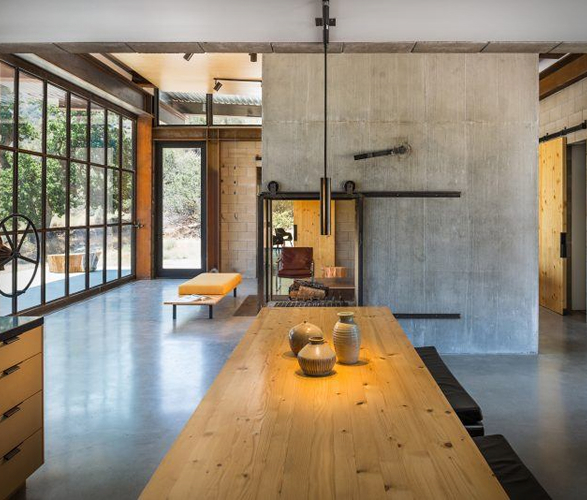 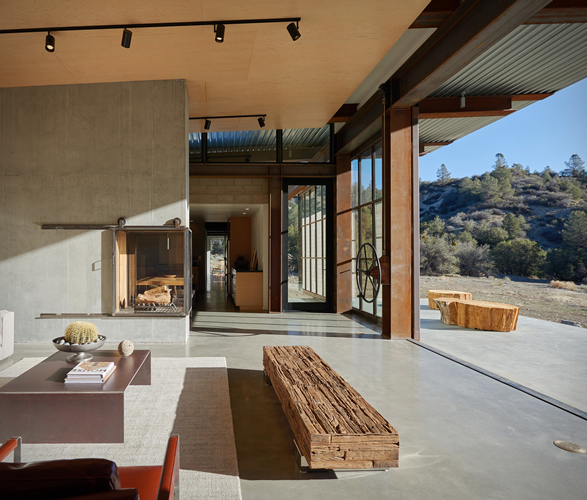 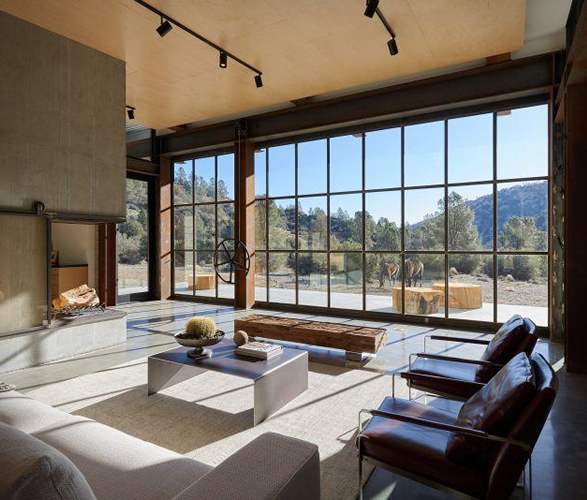 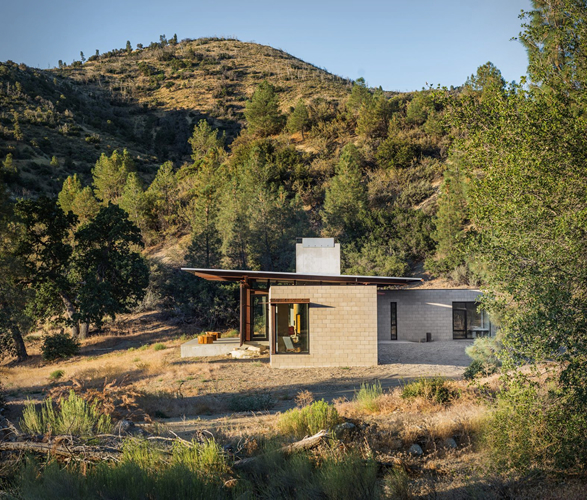 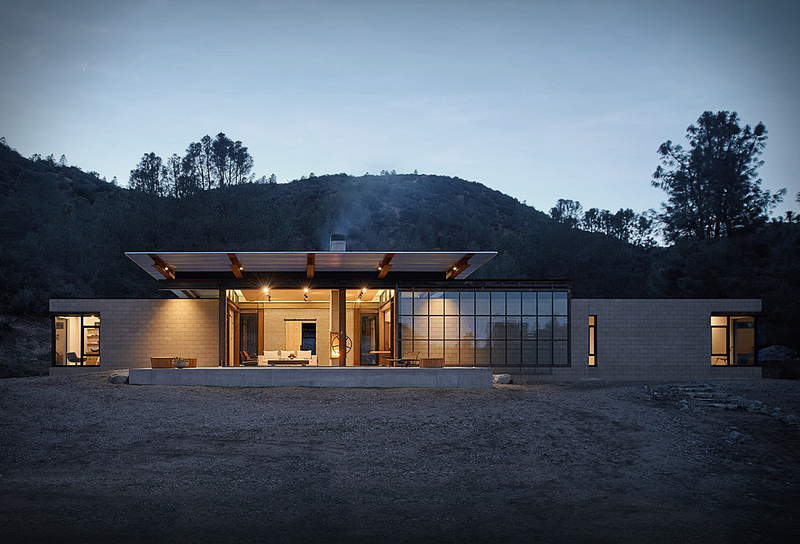 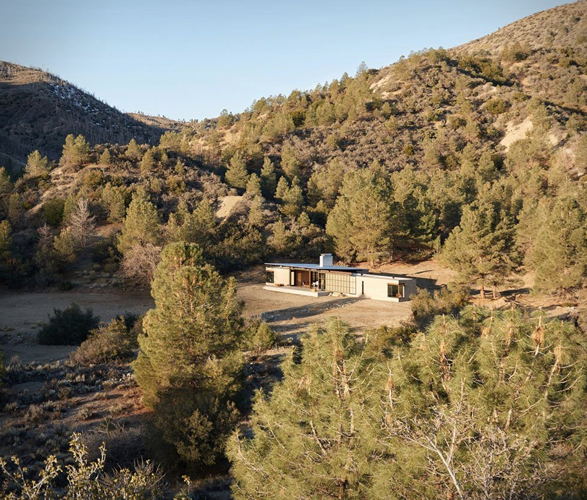 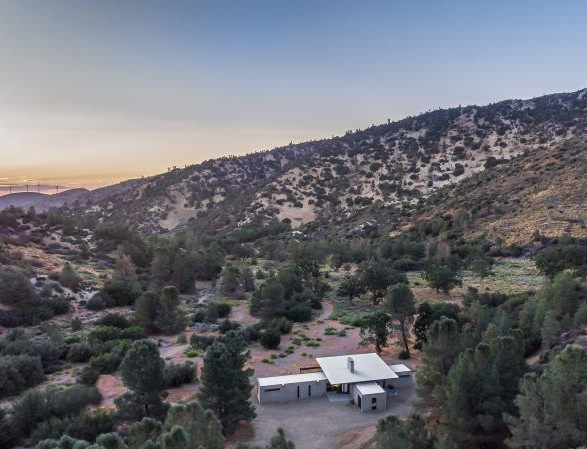 Set in the harsh high desert of California, Sawmill is a family retreat embedded into the tough, scrubby landscape, and uses sustainable strategies and reclaimed materials. 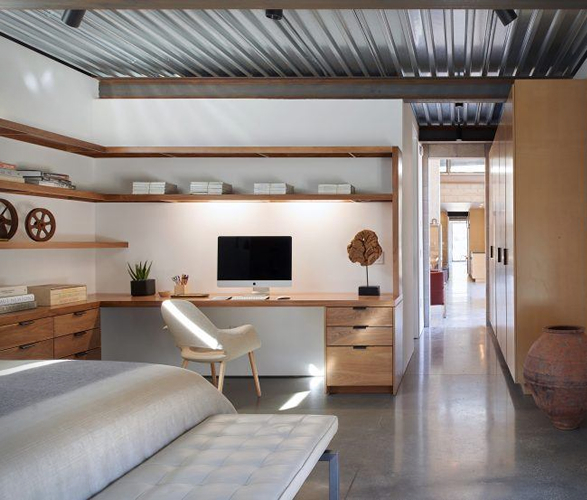 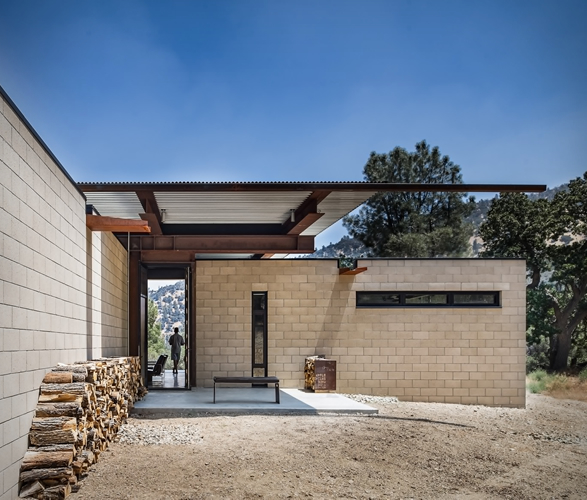 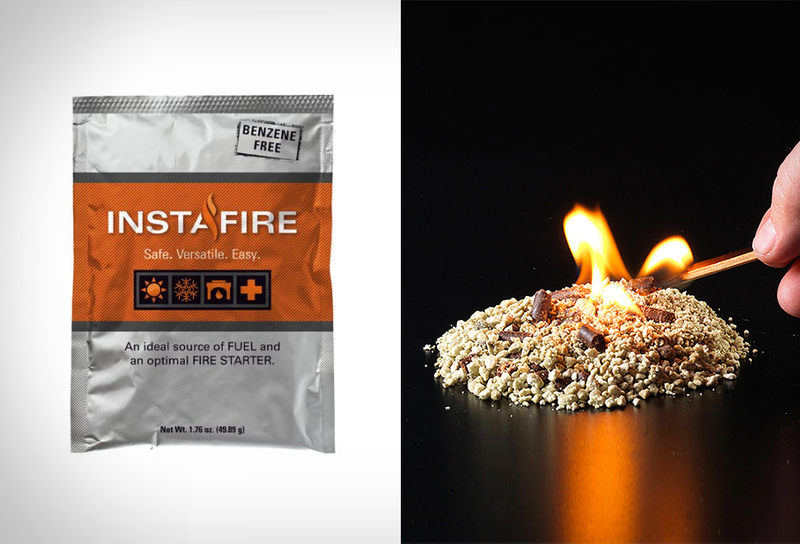 Made from concrete, steel, glass, and using salvaged and recycled materials whenever possible, the industrial-modern house operates completely off the grid, and was inspired by the tradition of tents around a campfire. 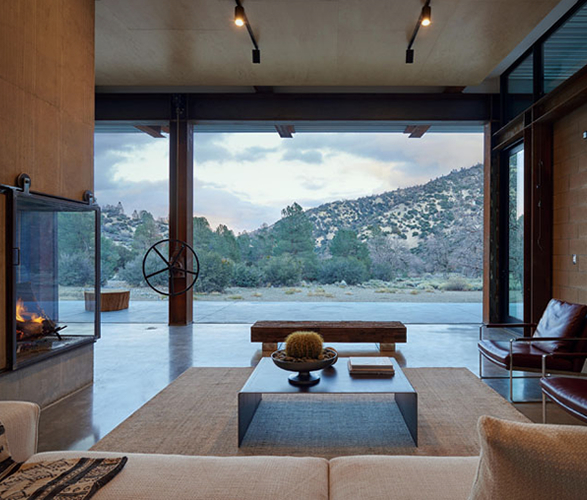 The house is comprised of three wings connected by the central hearth in the living area. 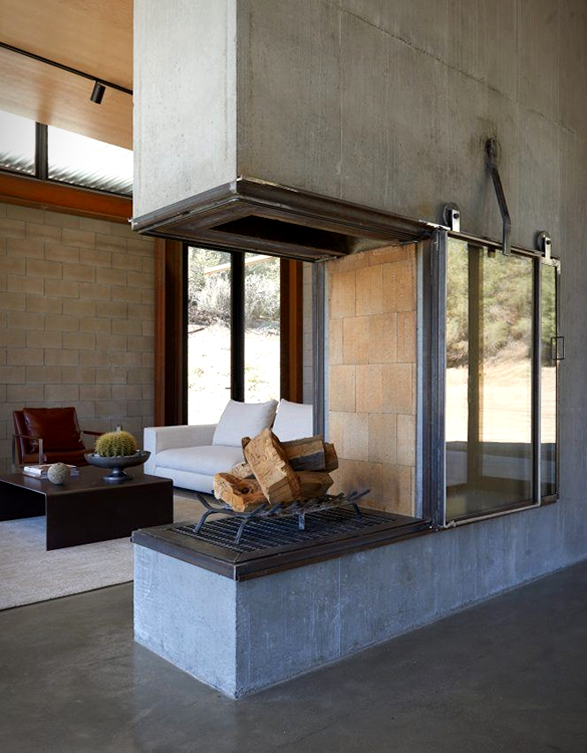 Here, a 12-by-26-foot window wall retracts with the turn of a wheel, transforming the outdoor patio into the fourth "tent" around the fire.